His wedding with Anushka Sharma has been one of the most popular affairs of the year. The star couple tied knocks in January this year and their love for each other has seemingly been growing more and more since then. In the recently concluded match of RCB against KXIP, RCB registered their first win in the ongoing IPL season. 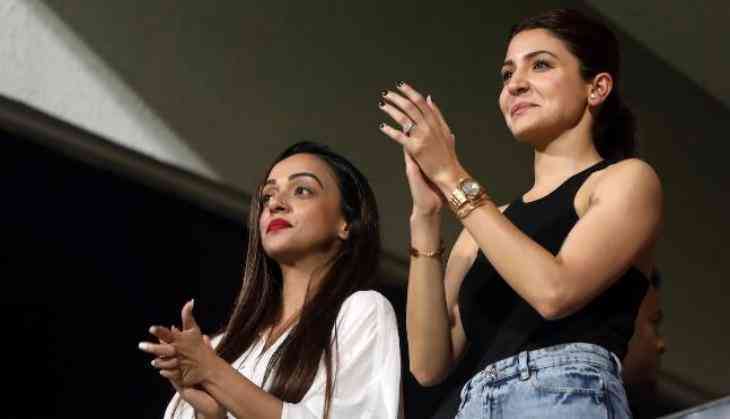 The match was attended by Anushka Sharma and she could be seen cheering every effort Virat Kohli made during the match. She applauded every effort made by the RCB players and also blew a flying kiss to Virat when he caught Andrew Tye in the 18th over of the KXIP innings. A video which is doing rounds on the internet has now surfaced in which Virat is seen talking to Anushka on phone and was eager to meet her after securing a win against KXIP.